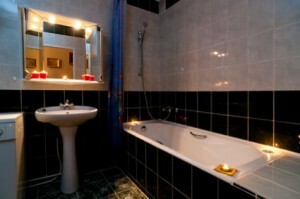 Before starting a bathroom project you need to have your Washington Bathroom Design in place first. Just like having a plan and budget in place this is an important beginning step to the project. Of course in order to have the perfect design you have to have the right team of experts on your side. You never want to work with someone that doesn’t have a design for you that you don’t like. Even if they claim they can tweak it as they go along. Don’t take chances when it comes to your home renovation project. It’s just as crucial that you have a plan and budget in place. During the design phase is when you get to make important decisions about your project. You should already have an idea in mind of what you want the end result to look like. If not this is the best time to talk with your team of experts and come up with one. If you don’t have one in mind they should be able to show you images to begin to develop a concept. This is also when you can prioritize which will help with your budget. For example if you have to have a certain type of cabinetry but don’t care about the flooring then the plan and the budget will reflect this. One of the biggest mistakes people make though is forgetting about lighting. You may not care about the lighting but keep in mind the importance of good but kind lighting for this room in your home. Since it needs to be functional and set a mood you may want to get a variety of lights or at least have a dimmer switch installed. There are plenty of other important aspects to consider such as making sure you have enough storage, but these are some of the most crucial ones. To make the most of your project it is important to hire the right team. At Baths By ZR we have the training, skills and hands on experience to get the job done. Contact us today so we can get started developing your perfect design. We can take important factors into consideration such as style and budget. We tackle important bathroom remodeling projects every day for master bath, powder rooms and hall baths. Even if you are not yet sure of the style you want we can help you figure it out. Let us take care of your Washington Bathroom Design and create the bath of your dreams. If you are looking for a Washington Bathroom Design Contractor then please call 856-302-1007 or complete our online request form.